Nocks are not fixed by glue,they can be adjusted for your bow. 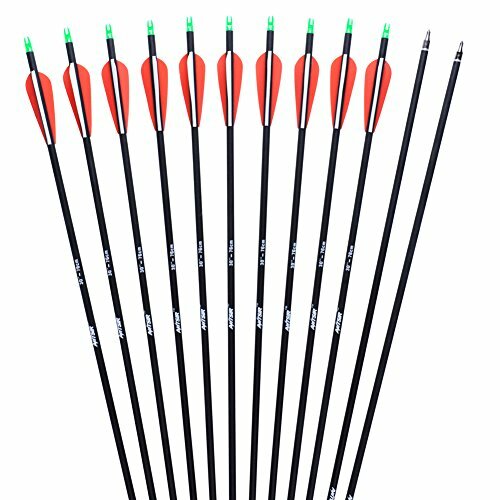 Package listing : 12 pieces of this carbon arrows. Do not shot against concrete wall or any hard substance. This may damage the arrows. If the fletching have a little bent,you can straighten them by using an air dryer or soaked in hot water.